Jett Ward is a former naval aviator and Desert Storm combat veteran flying A6 Intruders. As the Air Director for controlling close air support missions abroad, he orchestrated the precision strike of airpower within the murky world of Special Forces ground operations. He is a graduate of Air War College, and holds Master of Business Administration and Master of Science degrees. He and his wife live in the Pacific Northwest. As Rotarians I have often believed that ‘we do----because we have the means to do’. We have been so fortunate to have been nurtured in countries---the U.S. and Canada--- that have given us access to resources, education, and opportunity. Our fundraising efforts from club to club may chart different pathways or look a little different community to community…… yet the end in mind in universal----we are eliciting funds through the generosity of our communities to make a difference both locally and globally. Xavier Ramey, a young New Yorker in an impassioned speech at the Toronto International Convention, concluded by asking us to “dig into our privilege”. His words resonated for many because they spoke to the heart of what we so often do in our individual Rotary clubs----we raise funds to make a difference to others…..through our unique fundraisers and through our individual contributions to the Annual Fund, to Polio Plus, or to whatever endeavor touches our hearts. We help to develop economies and communities. October 24 is World Polio Day. How gratifying it is to know that our children and grandchildren now need to be taught about what polio is rather than learning about it through experience. World Polio Day gives us an opportunity to remind one another of how fortunate we are to be ‘this close’ to polio eradication. Yet at same time we must not be complacent ---- there are still measured steps that must be taken before we officially begin our ‘Countdown’ to a world free of polio. It is the efforts of thousands of Rotarians since 1988 who have raised the profile of polio, have organized countless fundraisers, have been involved in National Immunization Days around the globe, have dug into their own pockets…..and have garnered the support of benefactors like the Bill and Melinda Gates Foundation…..that have truly led us to our current place in this war we have waged. Our very own Joan Toone and husband Terry have been tireless crusaders in bringing home a message of understanding and hope. Polio has enabled us to come together as allies in our efforts. As a result of our united efforts in ‘service above self’ we are known to the world as ‘Rotary----the organization that is going to eliminate polio from the face of our world’! I conclude by looking ahead to a great month and by expressing our collective gratitude for those initiatives that help to stimulate economic growth and build a sense of community. 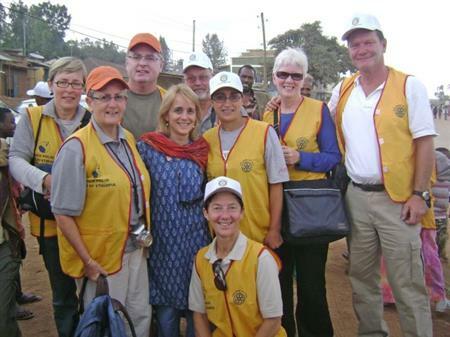 Ask any Rotary club what it is known for and with pride members will cite local projects such as a trail that thousands walk every day or a splash park that children (and parents watching their children!) enjoy …. or international aid to a specific country through one of six focus areas such as Water and Sanitation or Maternal and Child Health. 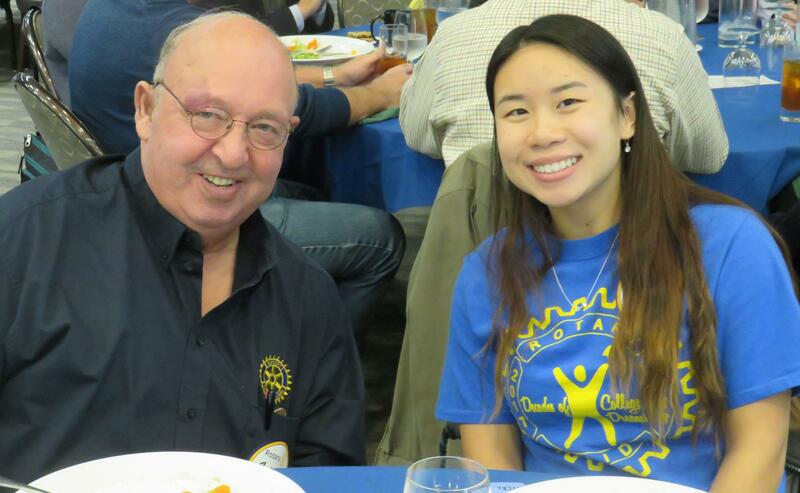 The Rotary Foundation that we have developed is brilliant in its design ----and as long as we annually support our Foundation, we have those dollars needed to work with to leave a deep and sustainable imprint. Thank You Rotary!